Alex Vlodnachek has been a reporter for 12 years, a P.R. rep for three months, and a murder suspect for all of 24 hours. 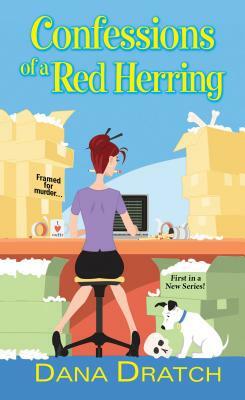 When her agency's double-dealing CEO is stabbed, scheming co-workers cast the new redhead as a compelling red herring. The story is media catnip—especially her salacious nickname: Vlod the Impaler. And Alex is on it. Dana Dratch is a former newspaper reporter and current personal finance writer. When she's not finishing Seeing Red—the next Alex Vlodnachek mystery—you'll spot her byline on a host of top news sites. You can learn more about her mysteries at ConfessionsofaRedHerring.com.